(Payvand.com) - The third volume of the research project "Persian Musicians" by Pejman Akbarzadeh is now published in Tehran. The publication of the book has been supported by the California-based Iran Heritage Society. The present volume contains extensive information on the artistic activities of contemporary players of Tar, Setar, Barbat (Oud), Ney, Kamancheh, Persian style violin, Persian style piano. Also included is information on music educators, musicologists, ethnomusicologists and music critics. The previous volumes of "Persian Musicians" were about the composers, conductors and players of Santur, Qanun, Daf and Tombak. 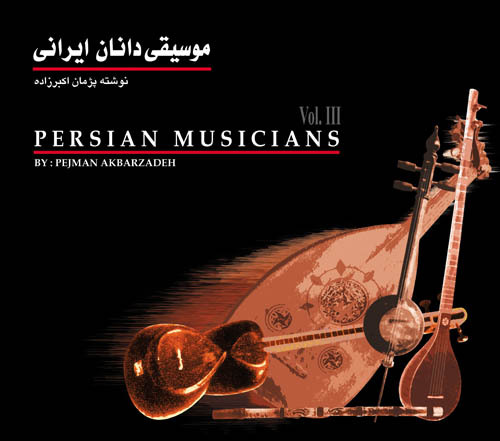 The 4th volume will be about the Persian (Iranian) players of Western musical instruments. The first volume, which Pejman finished at the age of 18, was cited in the Maryland-based 'Iranian Musicology Quarterly'as the "honour of Iranian musicological circles'. Prof. Ehsan Yarshater, editor of Encyclopedia Iranica, described it as "well-researched, factual, and avoiding of the usual sentimentality, exaggeration and extraneous material". The author is the young pianist, researcher and journalist Pejman Akbarzadeh (b. 1980). He received his first piano lessons at the age of 9 from Gholam Loghmani and later from Behram Nasrollahi in Shiraz. 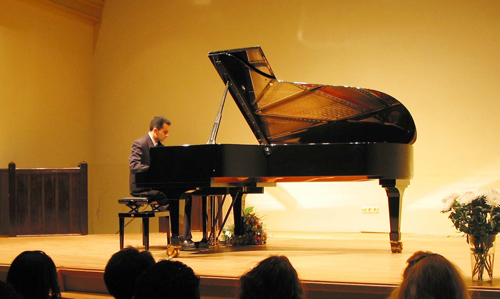 Pejman continued his piano studies more seriously with Farman Behboud, a former professor at the Tehran Conservatory. From 2001 to 2006, Pejman Akbarzadeh was the representative of Persian Gulf Online Organization in Tehran. He also contributed to various Persian medias both inside and outside his homeland, such as the dailies Shargh and Yaas-e Now (both were banned by Iran's regime). He briefly freelanced for the BBC Persian Service. In 2006, Pejman Akbarzadeh moved to the Netherlands. He is currently the music producer at Radio Zamaneh in Amsterdam. He performed the first Persian piano recital in the Dutch capital in March 2008; The sold-out concert at Bethanienklooster resulted in further invitations to perform in Germany and Canada. In the coming months Pejman will release a 90-minute documentary about the late Persian singer Hayedeh.